A day after bouncing back from a back injury to nail down her women’s record 78th World Cup win on Saturday, Vail’s Lindsey Vonn pulled out of a World Cup super-G in Val d’Isere, France on Sunday due to a sore knee. 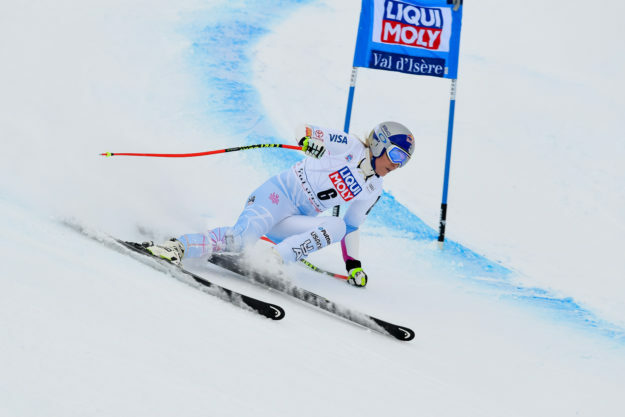 Saturday’s super-G marked Vonn’s first victory since January and was a solid bounce-back from a minor back injury sustained at St. Moritz last weekend. The weekend before that, Vonn struggled at a venue where she’s seen so much success, crashing twice at Lake Louise, Canada. Now just eight wins away from tying the legendary men’s World Cup record-holder, Sweden’s Ingemar Stenmark, with 86 career victories, Vonn is far and away the greatest female ski racer of all time. If she stays healthy she will no doubt be the face of the Winter Olympics in South Korea next year, where tensions will be high near the North Korean border. Trump has engaged in a fiery war of words with the rogue nuclear state. As I head to France for the next races, I would like to share with you my reflections from the past few days. I’ve received a tremendous amount of feedback, both positive and negative, about my recent CNN interview. The point that I was trying to articulate is that all Olympic athletes represent their nation as a whole, and are not representatives of their government or any specific political figure or party. None of us work tirelessly for years on end to compete in the Olympics on behalf of Democrats or Republicans. The Olympics are a non-political event, a chance for everyone to put aside their differences and be on the same “team.”. That does not mean that Olympic athletes don’t have political opinions. As an American, I am extremely proud that our great nation was founded on principals and ideals where citizens can express our opinions openly. It is a privilege that some others around the world don’t have. I am proud to be an American, and I want our country to continue to be a symbol of hope, compassion, inclusion and world unity. My travels around the world have recently made clear that this is no longer how people view the United States. You cannot pick up a newspaper or turn on the TV in Europe without noticing how people are questioning our direction. It seems to me that we must lead with understanding and strive for unity in our relationships throughout the world. As for myself, my recent comments opened up my eyes as to how divided we are right now. It is hurtful to read comments where people are hoping I break my neck or that God is punishing me for being “anti-Trump.” We need to find a way to put aside our differences and find common ground in communicating. Is it wrong to hope for a better world?